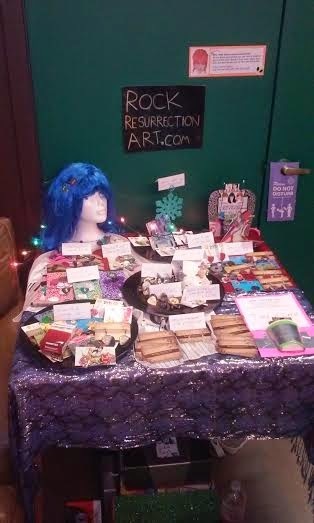 Rock Resurrection Art : Goin' Mobile with my guitar pick jewelry! Goin' Mobile with my guitar pick jewelry! Since getting my seller's permit, I have been all into getting out there more. With the Christmas season just around the corner it's the perfect time to put myself out there. I was also invited to be apart of an exhibit in Santa Rosa for a Krampus themed art show and party Krampusnacht Art Show Extravaganza. It was a lot of fun and I was reminded once again why I really love doing this...I get to talk about music with people. 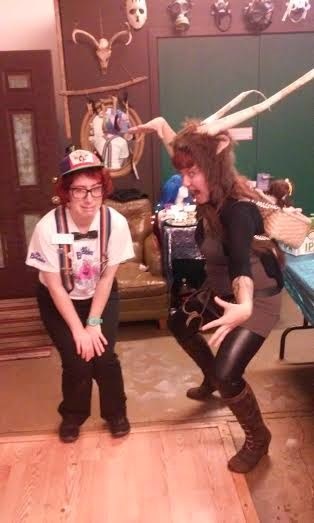 I couldn't exactly pull off a Krampus costume, so I dressed as a naughty child. It's not all that different from my every day fashion sense. 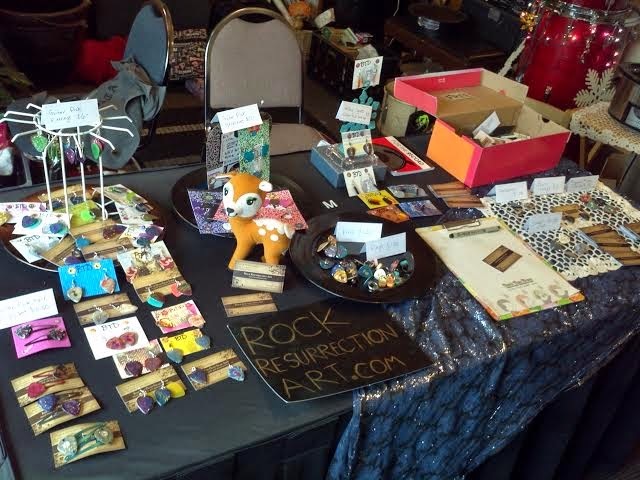 The weekend before that, I checked out the local Etsy craft fair over at Pier 35 in San Francisco. I found out too late to join, but I got to see what other vendors have and buy a few important things. Like a bow tie for my cat. 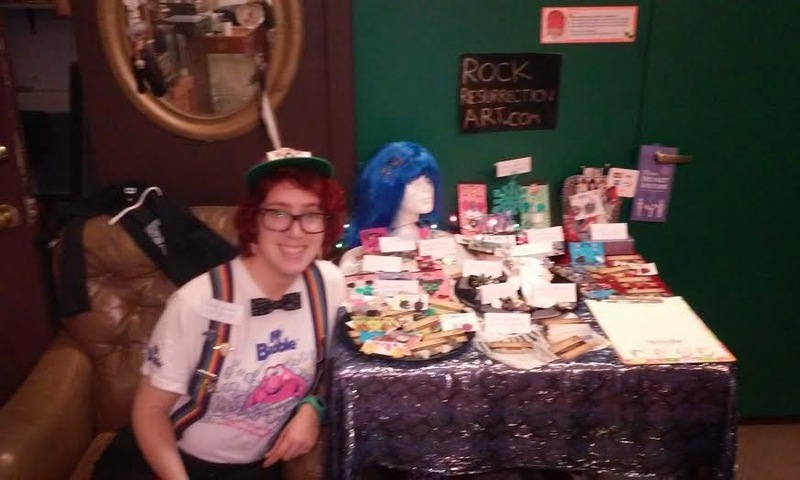 Yesterday I spent the afternoon at Acme House of Music with a nice big table displaying my wears. At first I started outside but ultimately the wind chased me indoors. The day began with the owner's little guy (son) helping me set the display up. He insisted I put the deer on the table with one of the pins pierced through his deer ear. Once again, got to talk to a lot of folks about music, mostly parents waiting for their kids between music lessons. The kids ogled the sparkly items on my table. And lots of people walk up and down that street. Another benefit of selling in person sure is getting immediate feedback. It's good to know what people like, what works and what can be improved. The key for me in doing all this is to make sure I'm having fun while doing it. More pop up shops coming soon! Check out my Vending page for more info.